Invitation trousseau with customized calligraphy on thick white card stock with border design at Paper n’ Things. Pearl white, heavyweight stock engraved and foil stamped in sun gold ink at Scriptura. 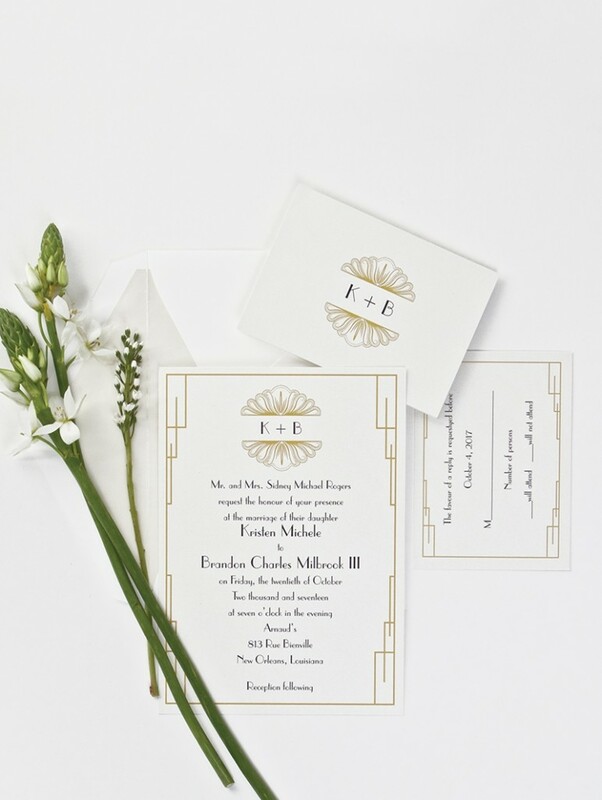 Champagne Art Deco wedding suite, on cotton stock featuring a sparkling gold frame and champagne pocket-fold at Megan Jewel Designs. Printed on white shimmer stock in gold and black inks, the invitation features a geometric border and clamshell duogram at Gem Printing Co.